Welcome to European Orthodontic Laboratory! Thank you for visiting our website. We are Atlanta’s top-rated premier orthodontic lab with over 25 years of renowned reputation and experience. Our two convenient locations are all about QUALITY, not quantity. 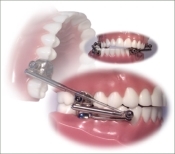 We specialize in superior orthodontic and dental appliances that simply surpass ordinary labs. Years of experience, education, and our renowned artistic abilities, allow us to create exceptional appliances that were previously presumed impossible. We understand that satisfied patients are the best referral source for your practice. Therefore, our main focus is to cut chair time and overall cost while, at all times, providing you with unmatched consistency and value. We work very closely with doctors and staff ensuring the most superior lab experience possible. In order to offer our clients the best treatment results available, our Certified Dental Technicians (CDTs) continue to stay updated with the latest materials, techniques, and new appliances.